It seems that Special Counsel Robert Mueller’s investigation into collusion between the Russian government and the Trump administration to swing the results of the 2016 election is finally drawing to a close, and both Democrats and Republicans are somehow in agreement (on occasion) that things aren’t looking so great for President Trump. With the possibility of impeachment growing more likely by the day, we’re all wondering: How much power does Special Counsel Robert Mueller have when it comes to the prosecution of crimes he found to have occurred during his investigation? At the least, Trump will likely be indicted on charges for the violation of campaign finance laws. According to recent documents from the investigation, Michael Cohen was directed by Trump, and with Trump’s complete knowledge, to make payments to at least two women who accused him of sexual misconduct during the campaign. Hush money is a big no-no in the world of politics. In these documents, Trump was referred to as “Individual-1”. More telling is that Mueller made a sentencing recommendation in regards to Cohen’s crimes based on his (eventual) willing participation in providing evidence that could eventually be used to burn Trump. Could he do the same when it comes time to feed Trump to the wolves of American judgment? Because a two-thirds majority is required and the Senate is currently controlled by Republicans, an acquittal seems likely in such a case. We don’t know how far the Mueller investigation probed into the Russian-Trump affair during the 2016 election, nor do we know how far they intend to press the matter once the investigation is complete. Even if the investigation finds that Trump committed these crimes and others, it doesn’t necessarily mean they will attempt to prosecute him. After all, we already know that our president is a criminal. We already know he has broken laws. We haven’t done anything about it yet. Sadly, we might not ever. Whether or not you think that insurance is the devil’s work, it’s a fundamental component of business in the real world. Without it we’d be lost, and some of us would find ourselves in financial turmoil. Insurance provides us with an added layer of security for situations in which we risk liability, such as owning a car or a home, by transferring the greater share of responsibility to the company if something goes terribly wrong. Well, it’s the same principle. That’s the short answer. 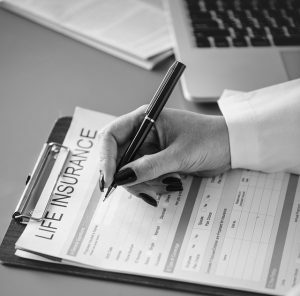 When an insurance company decides to go through with an especially risky venture, it might want more protection for your policy. The policyholder pays a premium in order to buy insurance, that premium usually representing either a small fraction of the risk, or something that will add up to a large portion of the risk when paid over years and years. Normally the insurer takes 100 percent of the risk outside of that premium. On occasion an insurer will not be comfortable with that level of risk. It’s on these occasions that an insurance company will opt to “reinsure” the original policy through an outside reinsurer. The reinsurer will be given part of the premium paid by the policyholder in direct proportion to the amount of risk the insurer wants to take, whether it’s 30 percent, 50 percent, 70 percent, etc. If the worst happens, and the claim costs must be paid to the policyholder, then the insurer pays 100 percent. After the claim is paid, the insurer can follow up by requesting reimbursement in the percentage agreed upon with the reinsurer. Reinsurance is just insurance for your insurer. It’s that simple. One type of reinsurance is called facultative coverage. This policy is an added layer of protection when an insurance provider covers an individual for a single risk in a single contract. Additional risks require additional contracts. Another common type is called a reinsurance treaty. This policy covers any number of risks based on a period of elapsed time. An example of this is when life insurance isn’t calculated when someone is estate planning. 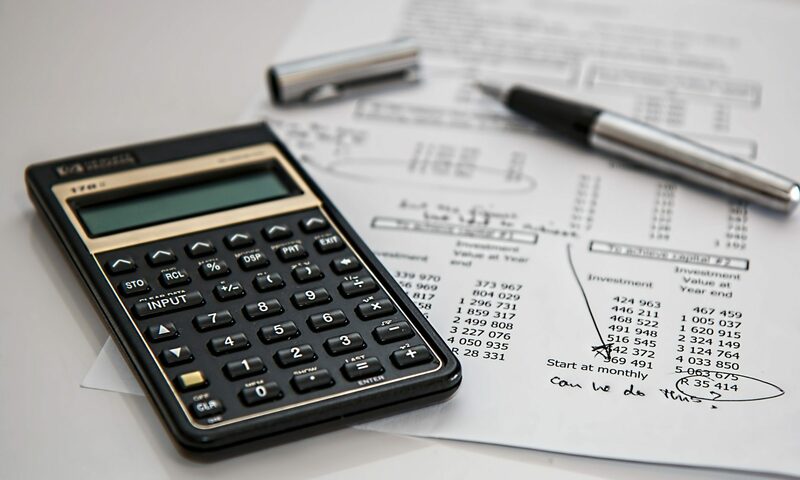 An excess-of-loss reinsurance policy is considered non-proportional coverage, and this type of policy is put into place when the reinsurer agrees to cover costs only when they go beyond whatever the original insurance company’s retained limit was set at. This coverage mostly applies to acts of god during substantially costly events. The good news is that South Carolina is the second-highest insured state in regards to flood insurance with 65% of properties in a flood zone having insurance. The bad news North Carolina, the state the suffered the most flooding, only 35% of the homes in a flood zone have insurance. Hurricane Florance parked itself on North Carolina bringing 90mph winds, storm surges, and flash floods. The one thing that Hurricane Harvey taught residents of the United States is that flood insurance is important. Since the devastation in Midland and Odessa, Texas and Louisianna, over 145,000 new policies were written. But federal officials state that there are too many Americans that do not have flood insurance simply because most property insurance doesn’t offer it. Floor insurance is run by the Federal Emergency Management Agency aka FEMA. The issue is that many Americans who should have flood insurance aren’t in a flood zone and aren’t mandated to have it. And who would opt for extra insurance when they aren’t mandated by FEMA, especially when the area they lived in hasn’t been flooded in several years. Data has shown in the past 5 years that North Carolina and South Carolina that residents with insurance have dropped 3% and 6% respectively. Fortunately for FEMA, when Hurricane Florence hit it was downgraded to a Category 1 Hurricane the amount of damage is less severe than originally thought. Since Hurricane Katrina, FEMA has been shelling out billions of above what they collect in premiums. In fact, Hurricane Harvey and Irma caused FEMA to reach it’s max borrowing limit at $30.5 billion. In order to renew the flood insurance program, Congress forgave FEMA’s $16 billion in debt. Uninsured motorist coverage is only used when the at-fault driver doesn’t have enough liability coverage or doesn’t have any. In every state except New Hampshire for some reason and in Washington DC, it’s illegal to operate a car without insurance but surprisingly 1 out of 8 drivers were uninsured in 2012. And just because a driver has insurance doesn’t mean they have liability insurance. 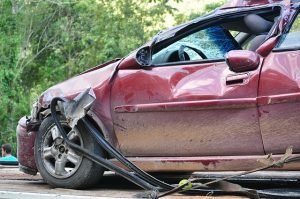 If you are involved in a car accident and you don’t have uninsured motorist coverage and the person at fault doesn’t have insurance, you will need to pay out of your own pocket for property damage and medical expenses. If you do not live in any of these states it is still highly recommended to purchase this insurance to make sure that you are protected in the event of an accident. Why Is Car Insurance So Expensive For Teens? Driving is perhaps the most ubiquitous adult skill, yet it is learned much later on in life than most other skills. Naturally, as a child cannot be trusted to safely drive a motor vehicle. Thus, in most states, teenagers obtain a drivers permit at the age of 16. This permit allows them to drive with another legal adult in the car. In this case, a legal adult is anyone holding a driver’s license that is over the age of 21. Then, at the age of 17, the teen becomes eligible to take a driver’s road test. If they fail, they can try again. If they pass, that permit is upgraded to a license — allowing them to travel anywhere on their own. For many, this entails purchasing a car, or using a relatives vehicle to commute. Although this is an exciting time, it can come with many unforeseen difficulties. Car insurance is one such difficulty for many. Although it is common knowledge that car insurance is pricier for teen drivers, many don’t realize just how much more it costs. On average, for the teen driver car insurance costs $2,267 a year. For adults, this figure is less than half, priced at just $815 per yer. There are a variety of reasons for this astronomical difference in price. To insurance companies, these reasons seem entirely justified. However, teens and their parents may feel differently on this issue. Although most of these reasons are relatively self-explanatory, let’s take a bit more of an in-depth look at the ones that aren’t. Insurance companies use your driving record to see how safe a driver you are, and adjust your quote based on past accidents/claims. Without a record, their quote will have to be on the higher end. Furthermore, young drivers are likely to become distracted by cell phones, loud music, and other things while driving. This poses a danger to the driver and a risk to the insurance company. Lastly, according to years of statistical analysis, younger drivers are more likely to get in an accident. This may be due to inexperience, distraction, speeding, or simply poor choices. Thus, the above reasons all contribute to higher insurance costs for teen drivers. If you stay safe and responsible, in a few years these costs should drastically decrease!